Some OnePlus Mobile Phone Manuals PDF above the page. OnePlus in December 2013, founded by two people: Pete Lau and Karl Pei. Pete Lau was previously vice-president of Oppo (Manuals PDF page) (a subsidiary of BBK). The fact is that OnePlus has set itself an ambitious goal to make an ideal flagship smartphone with an affordable price tag, that is, two times cheaper than such steep devices as Samsung Galaxy S5, iPhone 5s, HTC One M8 or LG G3 (PDF Manuals pages). And what is most interesting, the company has turned out! 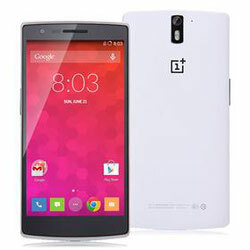 OnePlus gave the information about its first smartphone in portions, supporting the interest of potential buyers. 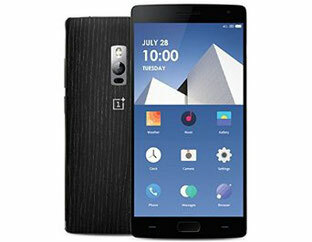 OnePlus One (whether over a name for a long time did not think - "the first-born" and everything, whether on the contrary have decided to hint at ambitions and leadership) as a result have presented in April, 2014. He received a good "iron", which we'll discuss in more detail below, a nice design and, very importantly, a sane price tag - $ 299 or $ 349, depending on the version. For comparison, Samsung Galaxy S5 then cost about $ 700. But then everything was not so smooth. OnePlus decided to support the artificial shortage and agiotage, for which they introduced a system of purchases by invitations. Many of this method is not appreciated. This is inconvenient, but this is an additional opportunity to earn speculators. Invites for OnePlus One were canceled only in April 2015. In addition, there were problems with the Smash the Past action. Under the terms of the action, you had to destroy your old smartphone, remove it on video and get the right to buy OnePlus One for $ 1. It seems tempting, only the prizes were only 100, and 140,000 people took part in the action, some of them before the official start, that is, many smartphones were spoiled for no good (this is how the hidden meaning of the expression "the killer of the flagships" manifests itself). A flurry of criticism was predictable. But the OnePlus One became one of the most talked about smartphones of 2014. In 2014, the company also introduced accessories: Silver Bullet headphones with an official price of about $ 15, more hefty headphones for $ 40 and an external battery for $ 15. But accessories are not a priority for OnePlus. On the reached it was impossible to stop. The company began work on the next smartphone, which received the name OnePlus 2. Announced this in January 2015, and released the novelty in the light at the end of July. The smartphone was waiting for many, and interest in the model was visible by the number of applications in the system of invites: 1 million in the first three days, 2 million in the first week. The company promised to give at times more invites than at the start of OnePlus One, but the system of invitations has not been abandoned. At launch, there were problems, Carl Pey had even to apologize for the glitches. In autumn 2015, several shares took place, when the smartphone was sold freely. In October 2015, OnePlus X was introduced. It was more compact due to the 5-inch screen, and its "filling" corresponded to the flagships of 2014. Price tag $ 249 was very pleasant. The system of invitations, so unloved by many, was still used. OnePlus in protection of invites said that it is necessary to assess the demand and reasonable management of inventory. However, just a month after the launch of the smartphone, stocks for free sale began to be launched. June 2016 was marked by the appearance of the smartphone OnePlus 3. It was accomplished what many asked: the manufacturer refused the system of invites, the novelty could be bought without too much difficulty. Interest spurred the flagship Snapdragon 820, fast charging Dash Charge, as well as the fact that the smartphone returned NFC. The cost was $ 399. Soon introduced and updated headphones Bullet V2. In the summer and autumn of 2016, there were problems with the delivery of OnePlus 3. In some stores it was not at all, in some after placing the order had weeks to wait for the shipment. According to rumors, this was due to the lack of AMOLED screens for production. It was even said that the next model will receive an IPS screen. In November 2016, introduced an updated version of the same smartphone - OnePlus 3T. Fundamentally new in it was nothing, upgrade only improved some characteristics, but the price rose ($ 439 or $ 479 depending on the amount of internal memory). Although the ratio of price, quality and performance is still very good. Some of OnePlus User Manuals PDF above the page.